Burlington’s Best Music Lessons – 13 Time Winner! SPRING REGISTRATION ON NOW – REGISTER TODAY! Music lessons for both children and adults! Looking for piano lessons, guitar lessons, drum lessons, singing-vocal lessons, ukulele lessons or another instrument? We provide paced musical instruction to match your needs. 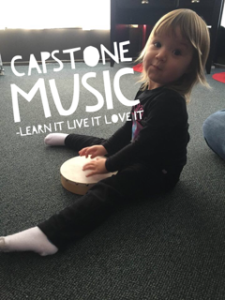 Kids love learning at Capstone Music! 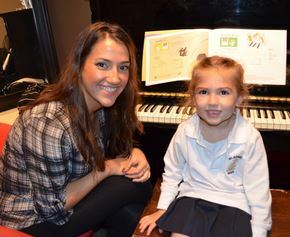 Music lessons for kids or kids at heart – and it doesn’t hurt to learn from the very best in Burlington. Let’s share our passion for music and learn together. Meet our top notch music teachers at Burlington’s best music centre. Contact us now and register for your private music lessons! 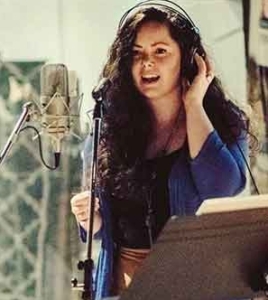 Start with any Instrument, Vocals or Progams! Our pianists love teaching their craft. From beginner to advanced, our piano teachers take care to set goals and make sure you achieve them – will having fun, of course! Our guitarists love teaching their craft. From beginner to advanced, our guitar teachers take care to set goals and make sure you achieve them – will having fun, of course! Our drummers love teaching their craft. From beginner to advanced, our drum teachers take care to set goals and make sure you achieve them – will having fun, of course! Our vocalists love teaching their craft. From beginner to advanced, our guitar vocal coaches take care to set goals and make sure you achieve them – will having fun, of course! More Music Lessons & Programs! From our summer camps to tot programs, we have a program suited for your child. We encourage all our students to “play” not “practice” to keep the fun in music to maintain their lifelong passion! Our ukelele teachers love teaching their craft. From beginner to advanced, our instructors take care to set goals and make sure you achieve them – will having fun, of course! Music teachers matter because a great musician can’t necessarily teach music. Our team of accomplished local musicians have studied music formally and are regular performers. Best of all, they have the requisite skills and patience to employ current, relevant teaching techniques so that your child learns effectively – at their own pace. We believe music is for everyone and love seeing new students meet their goals – whether they become aspiring musicians or simply wish to play for family and friends! Now is the time to learn more about taking music lessons at Capstone Music. Contact us for a no obligation chat about your child musical interests – from what instrument they’re interested in learning to their preferred learning style. Chances are, we’re a perfect match! Why are we such a highly rated school for music lessons in Burlington? Mostly because of our great music teachers! Our music teachers cover the range of instruments, have a passion for a range of genres and are both male and female. Yes, we try and accommodate requests! Who else would you like to teach you or your child music? Conveniently located in Burlington, we’re proud to showcase some of the best music teachers in Ontario. BOOK LESSONS OR A VISIT! When do babies start to understand music? 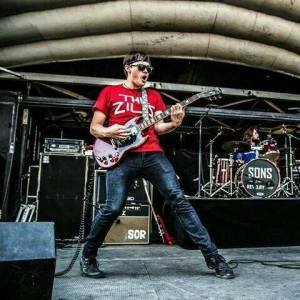 Start or Join a Rock n Roll Band – Here’s Why! Music Lessons for Babies? Yes, and Here’s Why! Why and How to Start a Rock Band! Learning to Playing Multiple Instruments: Good or Bad Idea? September Means Back to School… Music School, that is! YOU’RE INVITED – VISIT OUR MUSIC CENTRE! We love our kids, teachers, and our music facility rocks! So we're happy to invite parents or caregivers to bring their aspiring musicians to visit Capstone Music for a tour. Whether they (or you - of course we provide music lessons for adults) want to learn to play the piano, guitar, drums, ukelele or sing their heart out with vocal lessons - we have you covered. See why we're Burlington Posts Reader's Choice Winner every year!